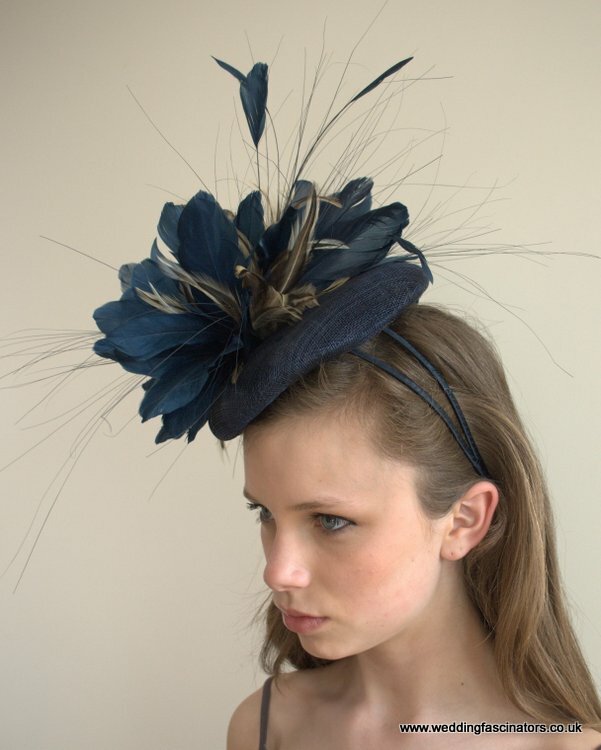 This stunning Royal Ascot headpiece has a wonderful arrangement of navy goose feathers on an 18cm navy covered sinamay base. 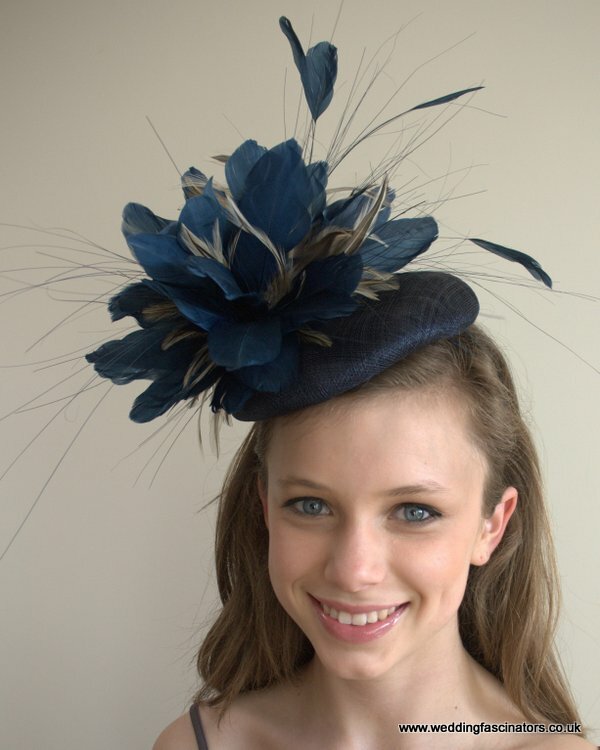 This stunning Royal Ascot headpiece has a wonderful arrangement of navy goose feathers on an 18cm navy covered sinamay base. 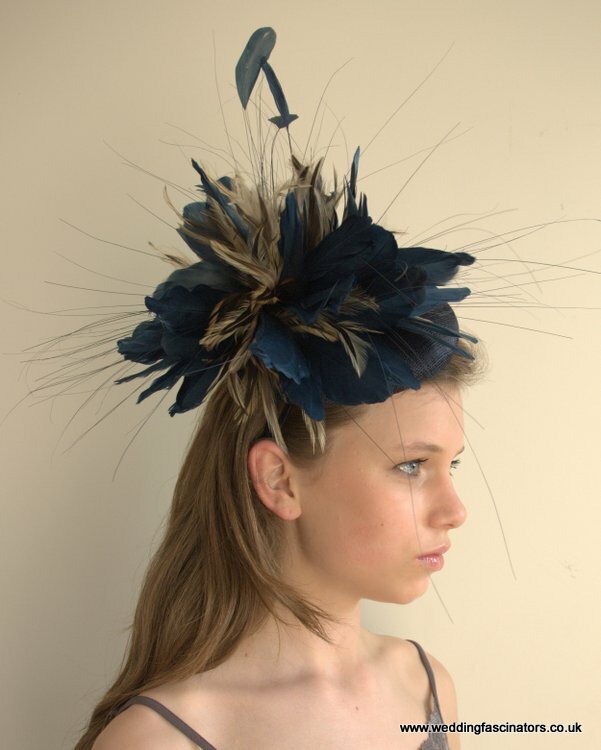 With the odd stripped coque feather and dyed burnt peacock it is eyecatching and perfect for Royal Ascot. 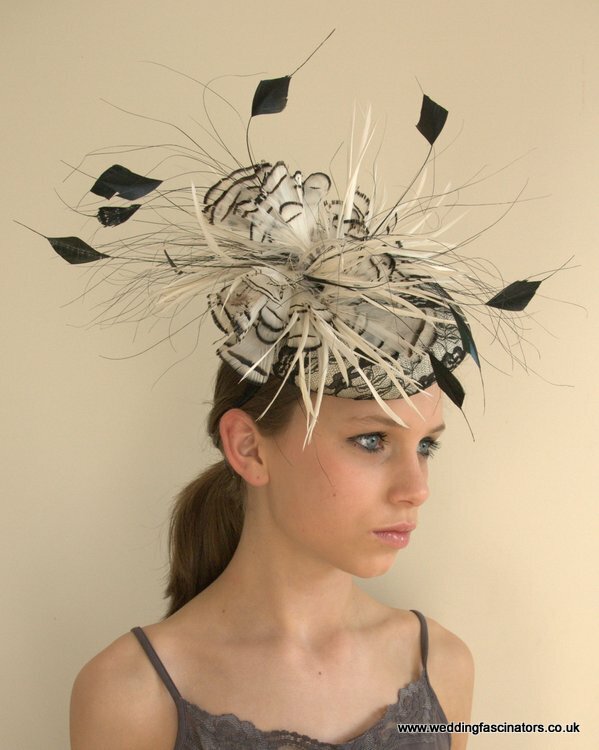 It secures onto the head with a double headband covered in the same colour satin ribbon. 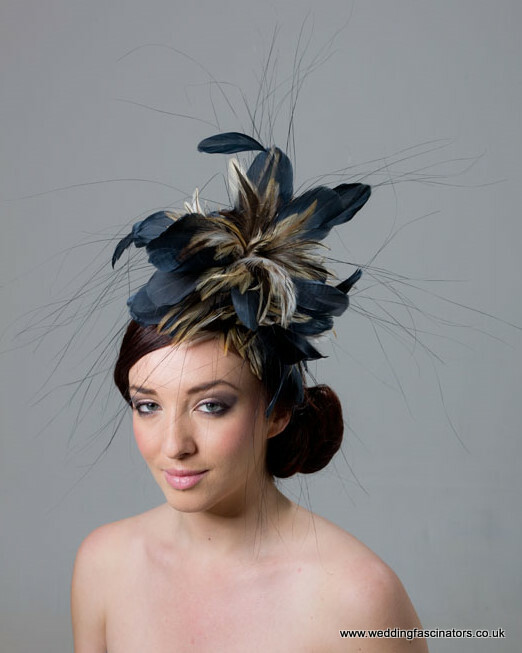 Most of our Chelsea designs can be put onto sinamay bases of the same colour. The colour bases we do are Biscotti, Black, Caramel, Cerise Pink, Coral Pink, Gold, Heather Pink, Ivory Cream, Lime Green, Magenta Pink, Navy Blue, Pewter Grey, Purple, Sapphire Blue, Scarlet Red, Silver Grey, Teal Green and White. Please email for further details.